Are you a musician and would like to develop your skills as a flute player? 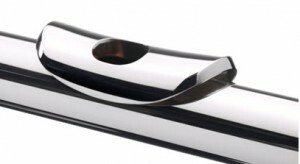 Do you enjoy learning more about music but find taking flute lessons impractical? Would you like to learn what it feels like to play in a flute group and develop ensemble skills? On the 7th of July you will have the rare opportunity to do all this and more! Viki Parsons, cardiologist a graduate of the Australian Institute of Music, shop will hold a flute masterclass where you can play your flute to receive advice and learn helpful techniques. If you do not wish to play in the masterclass you are welcome to come along as an observer and watch as others play. Following a lunch break during which you can talk to Viki and ask questions, viagra approved there will be a Flute Ensemble workshop for players of all skill levels. 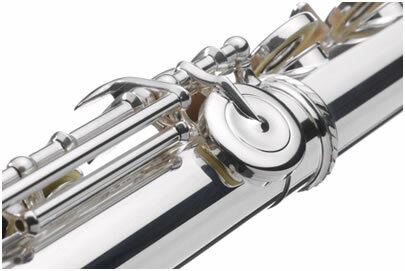 You will have the opportunity to play in a group of flutes under the leadership of an accomplished flautist. The afternoon will be concluded by a short performance of the day’s work for residents at the Sir William Hudson Nursing Home. When: Saturday July 7, 10:00am to 4:00pm. Where: Cooma Little Theatre, Uran Street, Cooma. Click here for map. This event is a fundraiser for the Snowy Mountains Ensemble, with all profits being donated to support this local community orchestra. This entry was posted in Monaro Flute Ensemble, Workshops and tagged Viki Parsons on June 7, 2012 by allan. Are you a flute player keen to play in a group but don’t feel confident enough to join an orchestra or band? Do you enjoy Classical or Traditional music but can’t find a group that focuses on these genres? Maybe you’d like to work on improving your technicalskills but prefer not to take private lessons? The Monaro Flute Ensemble was designed specifically to fill in these gaps. We want everyone to enjoy the opportunity to play and learn about music in an encouraging group environment. We proudly specialize in reviving Classical music. Most of all, capsule we want to give people the chance to develop a lasting love for music at the sametime as developing techniques to make expression through music easier. This ensemble is a group of flute players of diverse ages and skill levels who all share an enthusiasm for making music and sharing what they learn with others. For more details please call Matthew Ventura on 6452 5262 or email: sonataform@hotmail.com. This entry was posted in Monaro Flute Ensemble, Snowy Mountains Ensemble and tagged flute, Monaro Flute Ensemble on January 27, 2012 by allan.